I come from a family where cars had always been an integral part of the family culture especially imports (actually only imports). My dad's grandfather had a Dodge in 1932 when even the most richest of the ministers used to have cycles. Love for imports runs in our blood and then came a moment about 2-3 months back when I sold both my JDM queens ( Toyota Corolla SE limited edition and a Toyota Aristo V300) to Mr Yuwan Bakshi sir because of the NGT rules and the fact that I was not being able to maintain both of them. 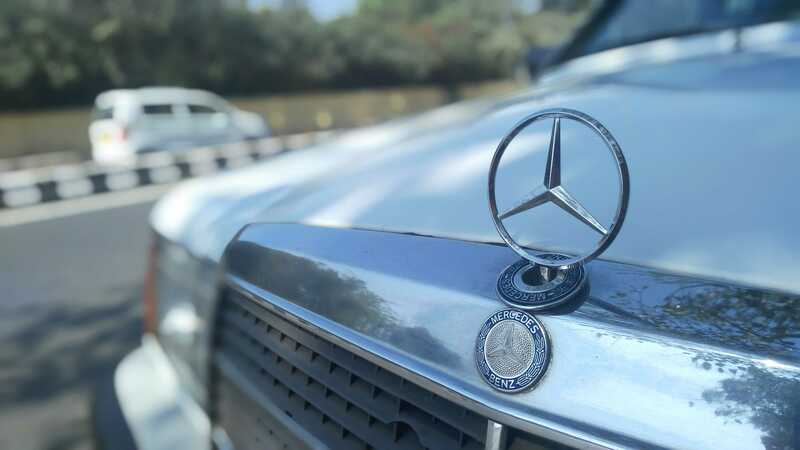 This decision of me and my father lead us to driving a pathetic Optra daily with no 2JZ power to enjoy every weekend and we were frantically thirsty for an import and magically enough we came across this lovely Mercedes Benz 190D.This was imported by a prominent High Court Lawyer and since 1989 it was being lovingly taken care and driven by the lawyer only ( I will explain this "only" later ). When I found her , she was with some relative of the lawyer who had got her transferred on his name and he said the lawyer sold her as he had moved on and purchased a brand new Mercedes. The guy from whom I bought the car( or as I think snatched it away ) had purchased her thinking he could get all her pending work on line but he failed ridiculously in his attempt as he had no passion and love towards the car. So now getting back to main icon of the story, the babybenz wasn't looking , feeling or driving like she should have back in its glory days. The AC wasn't working and there was diesel leaking from one of the diesel pipelines. The bumpers were a mess of course because of the capital's traffic conditions and some idiot had actually painted the light lenses silver which made her look very dull overall. 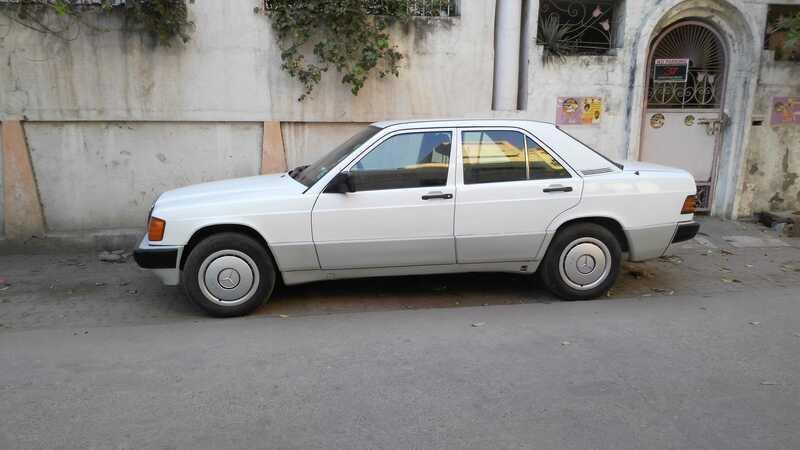 The only part where Mercedes hadn’t paid a lot of attention back then were the plastics .Being over 20 years old and after over 2 lakh km on the odo, the plastic console which houses the center AC vents was falling apart and wooden trim around the gear shifter was also in shatters. The lovely original fabric seats were preserved because the lawyer had put on some seat covers but the interior pieces which had leather were all faded or worn out. Obviously there was the usual stuff to do as well including a complete engine oil treatment, radiator coolant flush, etc, etc, etc, u know the list pretty well. 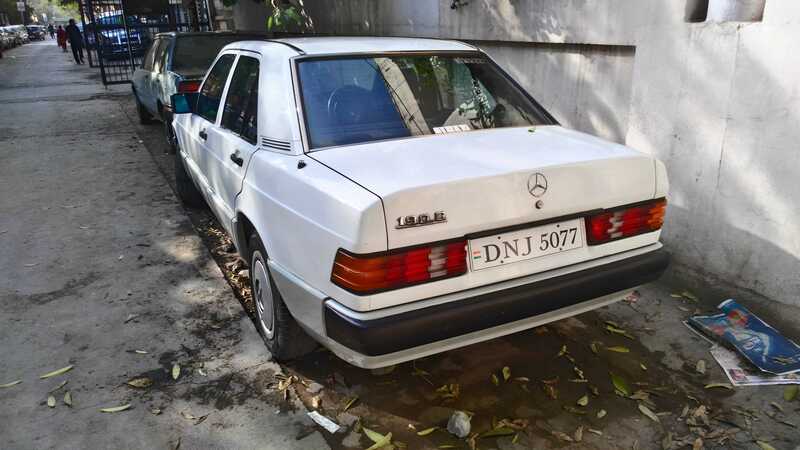 Though the list might seem long but we saw her as a lovely chance to return back to the car culture in our family so we started on this journey of bringing back the lost beauty in this Mercedes. Our first concern were the mechanical of course so we started with finding the diesel leak which was easy as we found it immediately and it took only a pipe to sort this minor problem. Now to the AC. We took her to our faithful AC mechanic and discovered our first blow of the project. The expansion valve of the compressor was blown and there was a minor gas leak as well. So, dad got the expansion valve changed and the leaking gas was also fixed. But still when we used to turn on the blower from inside with the coldness knob of the air to maximum nothing used to happen and after all this work we still had a non-working AC. In came GOOGLE BABA where I found out that our culprit was a faulty fuse attached with coldness controlling knob which wasn't turning on the AC electrically. No one was ready to dig on the wiring of the AC, even my trusty AC mechanic ran off to his village, apparently. So dad himself opened up the center console and it turned out that the whole wiring was messed up ( some wire going there some going here and no one doing anything productive ). But with some help from my friends who had previously owned and maintained these cars, dad sorted the wiring and faulty fuse was also fixed and voila we had the original AC completely working. With these 2 mechanical issues out of the way we checked everything else and did the general maintenance. 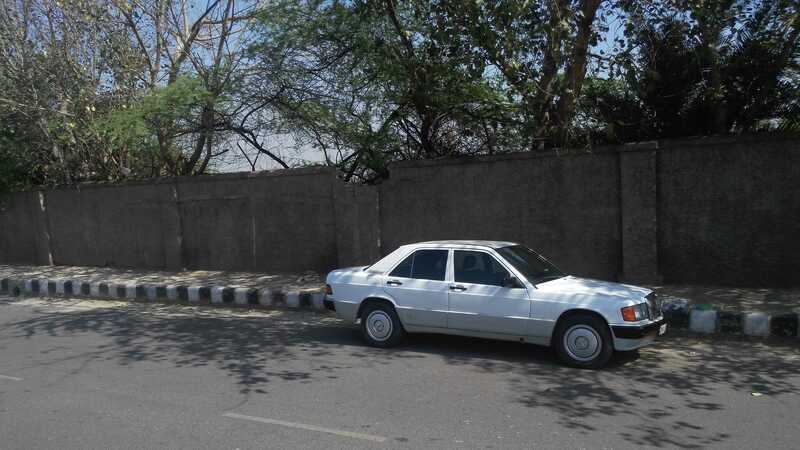 Next, she was send to my Mercedes body and paint guy in Ashram before which the tail lights and headlights were removed for restoration. 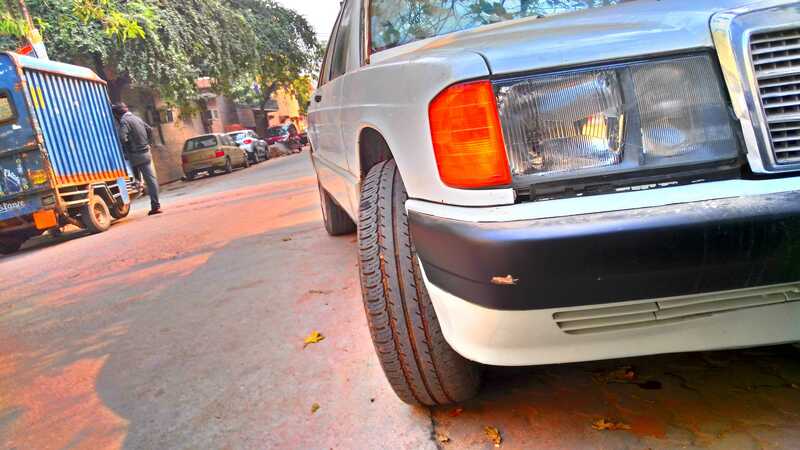 The tail lights only needed a good cleanup and a couple of bulbs changed while the front headlights turned out to be yet another speed breaker in our journey as some idiot had painted the lenses, otherwise the lights were phenomenal. Importing the lenses only from eBay was neither economical nor time-friendly for the project so dad came up with the idea of restoring the original lenses and got them re-chromed ( can't explain how I did that as the post has already become very long ). The bodywork guy called and in no time we were standing in front of her admiring her beautiful lines which were now clearly visible after the ages old dirt and grit had been removed from the paint. We drove her back and it was after a long time me and my dad were sitting in an import so we drove her real slow ( never crossed 60 km/h ). The next day the brand new looking tail lights and headlights were back on and after a very long time ( about 1 month ) she was looking complete, at least from the outside. So till now we have restored the beautiful lines and ensured that she absolutely purrs on the road. In my next post we will get bang on with the interior which indeed proved to be the most difficult job of this project.